TrackRanger GPS can now natively import the Goldmine Finder output in either Google Format or the Ozi Explorer format from the Goldmine Finder Software. 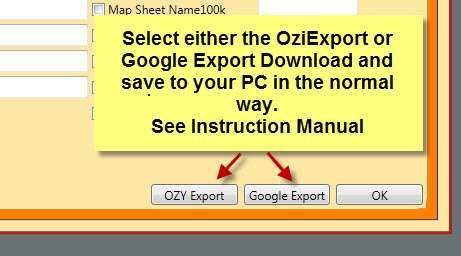 Export and Save as Either Ozi Explorer or Google Earth Waypoints. 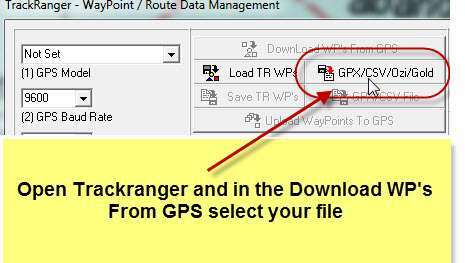 Import into TrackRanger GPS Waypoints Manager Either the Ozi Explorer or Google Earth waypoints text files you saved from Goldmine Finder. Here is a screenshot of the waypoints as shown in the TrackRanger software. We do not own Trackranger software, we also have no financial interest in providing information about Trackranger software or commercial/personal links to Advantech Design. This information is provided by Trevor Powell of Advantech Design who has responded to the needs of his customers who have purchased the Goldmine Finder software. 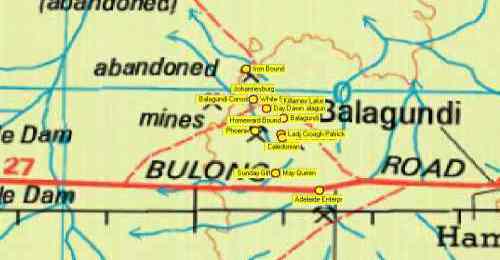 We will be amending our instruction manual for the Goldmine Finder and other information later as time permits and after we purchase to TrackRanger system to try it ourselves. Contact Page for TrackRanger Queries. p.s....Tell them Bill and Udo from www.gold-prospecting-wa.com sent you!